The PMF Academy is instructed by principal players of major orchestras in Europe and America. 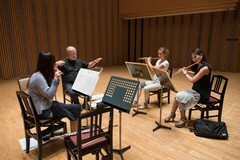 In addition to instructing the Academy, these virtuosos present chamber music concerts both in Sapporo and in broader Hokkaido. For members of the Academy, it is a once in a lifetime experience to be able to study with their role models, learning the highest technique and gaining a wealth of experience as they strive toward becoming professionals themselves. 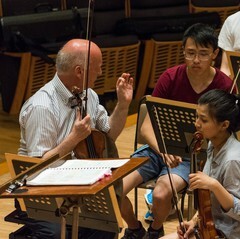 Each summer, the first half of the Academy's month at PMF is instructed by PMF EUROPE, made up of members of the Wiener Philharmoniker and the Berliner Philharmoniker.